It’s time for December’s installment of Clean and Tidy Friday, and I thought it would be fitting to talk about ways to organize all the decorations we are all dragging out, so today I have for you 10 ways to organize Christmas decor. Hey friends! Let’s dish about how we organize all of the Christmas decor that seems to multiply with each passing year. I am happy to say that my home is all decorated for Christmas by now, how about you? Every year, we have to lug everything down from the attic, and then lug it all back up after the holidays are over, and it can be a real drag, am I right? I have always kept everything in big Rubbermaid boxes. But last year, on the day after Christmas I went shopping and happened upon some boxes on clearance that were specifically made to hold Christmas decor and lights, and since they were so cheap I bought them. Best purchase ever, I have to say! I used to keep all my ornaments for the tree in the boxes they came in, and each year I would unpack them all, and then package them all back up when the holidays came to an end. But last year, I didn’t do that. 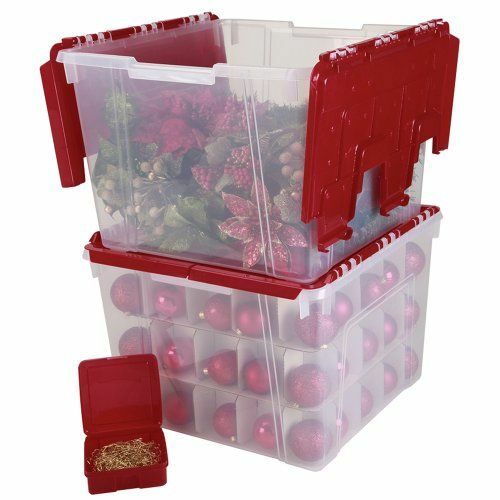 I used one of the ornament boxes, and all the ornaments that go on my tree fit into one of those boxes, when they had been taking up real estate in at least three big Rubbermaid boxes. I was so excited with this solution, I don’t know why I didn’t do that years ago. So since it’s December, I thought it only fitting to bring you 10 ways to organize Christmas decor for this month’s Clean and Tidy Friday. 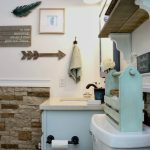 You might be surprised as to how much these ideas can simplify things for you. 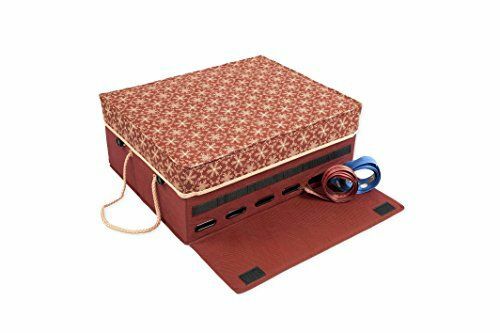 This ribbon dispenser box holds ribbon down both sides of the box, and would make it so much easier to find all of your ribbon and keep it neatly stored. 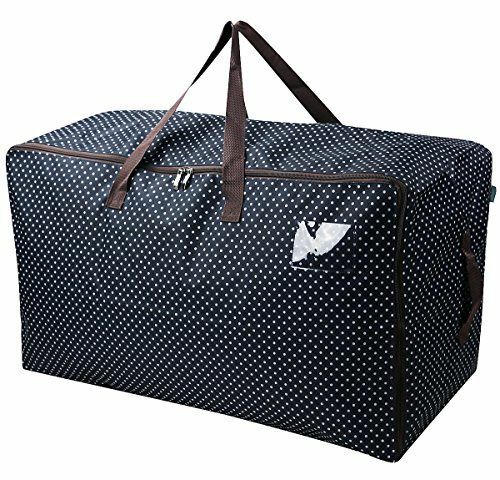 This giant bag is collapsible and would hold larger Christmas items. 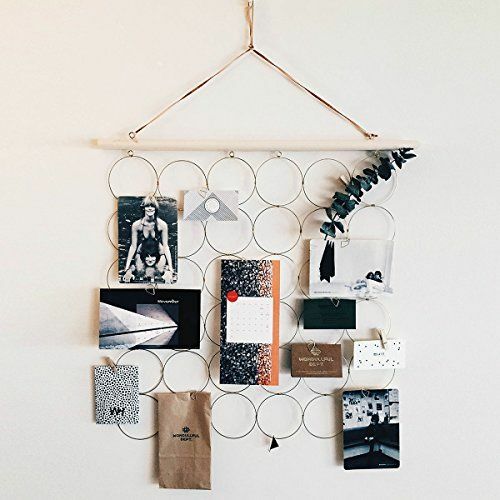 I think this would be a really cute way to organize all of those Christmas cards when they start rolling in. And what a cute way to display them! 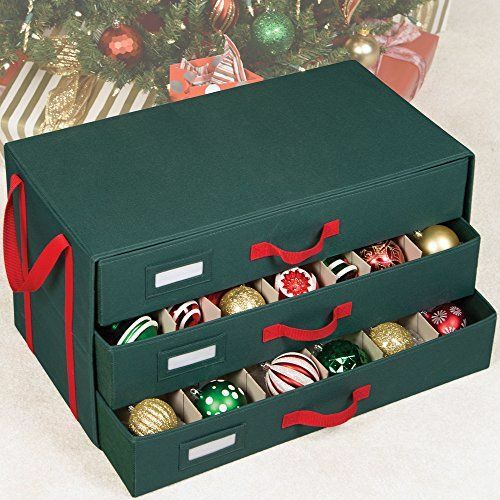 This ornament box is similar to the one I bought last Christmas, but way better because it has drawers and the ornaments are way easier to access when you are packing and unpacking them. 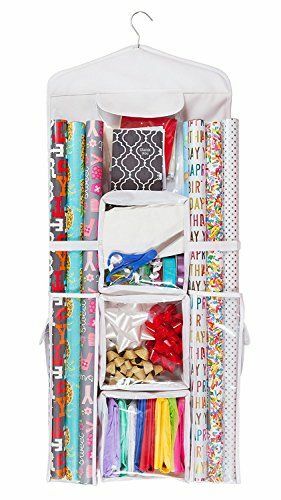 I have a gift wrap organizer just like this one, but I would like to get another one because I have quite the collection of gift wrap and gift bags for Christmas. 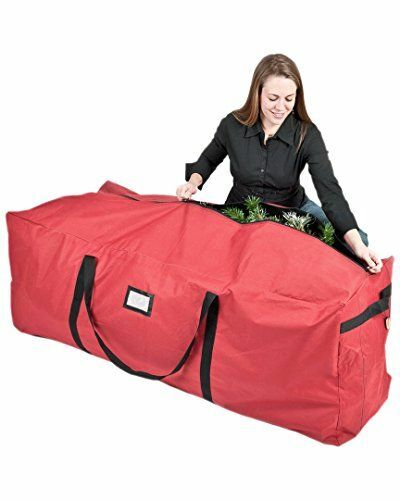 I totally want this giant storage bag to pack our new Christmas tree away in after the Holidays. These boxes would be great to hold garland and other greenery and flowers for the season. 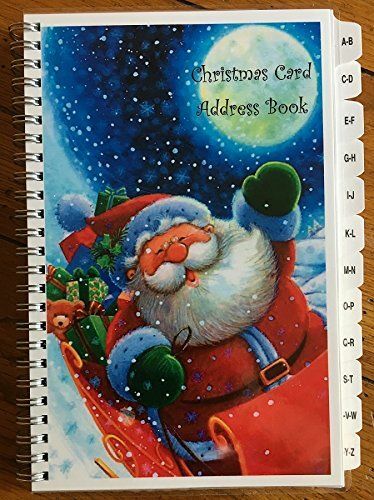 This is a great little address book for Christmas cards. A great idea is to cut the return address labels off of Christmas cards that you receive and just tape them into a book like this. This is a great double sided gift wrap organizer that you can hang in a closet for easy access. 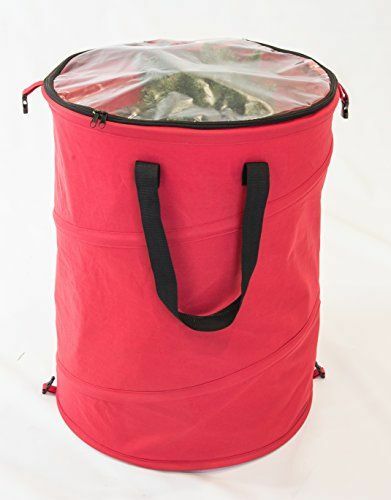 I would use this pop up Christmas storage bag to hold my holiday wreaths. I currently store them in garbage bags, which isn’t the best method. 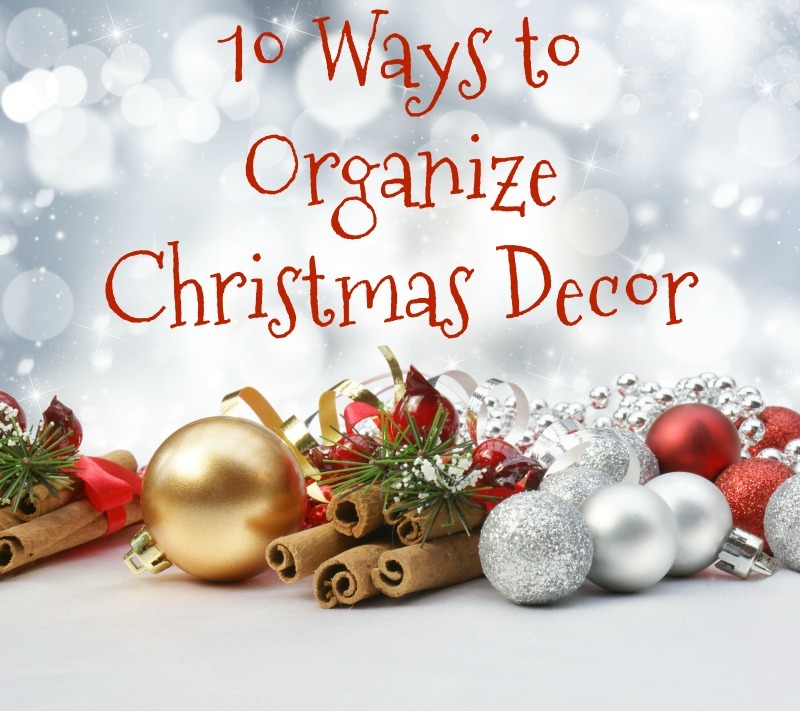 I just love these 10 ways to organize Christmas decor. I had never given this much thought until last year. And after I bought the Christmas decor organizers I realized that I wanted to get the rest of my decor together in a more organized fashion. So that’s my goal for this year. How do you organize your Christmas decor? Any nifty ideas that I haven’t shared here today? Let me know in the comments! Have a fantastic weekend friends!